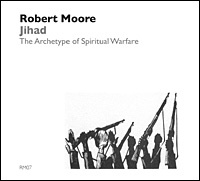 Robert Moore presents a study of the archetype of warfare on both a sociopolitical and personal level, and the various manifestations of this archetype in religious traditions. This program is part of the course, Patterns of Divinity: A Psychology off Religious Events. Central to nearly all religious myths are the sacred events of “divine action” and the images that portray them. These symbols fascinate and inspire believers and non-believers alike. This course examines a series of these events/images from diverse religious beliefs and presents interpretations of their psychological content from the perspective of Jungian psychology.